Clearly my thoughts have evolved on this blog as to what I can do for you, what I can share to make your life more beautiful after you visit here, and am pleased to have settled on creating a travel sticky page for this website over the past year to go with each season. I have been lucky enough to travel all over the world and so consider myself a veteran. Ideally, I would have had this post up on December 22 of last year, but the holidays intervened and well, better late than clever, right? So, the title of this particular article seems especially apt. Now, let’s remember that all of these recommendations are subjective and based on three key factors: where I’ve been, what I like, and iconoclasm. By the latter I mean, I am not going to recommend the predictable places that everyone thinks of for each season. Most people’s favorite season is the spring. As you might guess, not mine! My absolute cherished time of year is and always has been the winter. For the first half of my life, I got to be in a four-season climate as my home base and so winter rolled around every twelve months and delivered my preferred weather, notably in Manhattan where I spent most of that time, with cold, clear, sunny, dry days and the occasional snowfall that draped the landscape in its magical glitter. However, here I am in one-season Southern California, where the temperature is hot or hottest and the skies are cloudless and blinding unremittingly. So, when I tell you my recommendation, I am going to avoid my reflexive wish to suggest Banff or Quebec or St. Moritz. Or to my preferred beach resorts (the rare times I have gone to them of my own accord) like Montego Bay, Jamaica, or Nassau, or Fortaleza, Brazil. 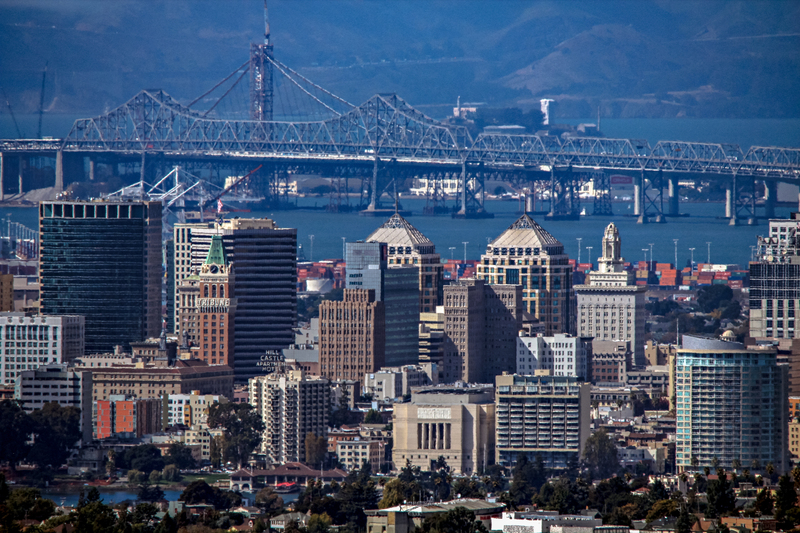 We are going to stay local and so, voilà, my choice: Oakland, California. Whaaaaa? You are going to start to object and recommend that at least I switch this to San Francisco across the Bay Bridge. But, uh-uh. Please do this. Forget about every single thing you have ever heard or thought about Oakland. I know the Bay area intimately (having lived in the East Bay and and visited friends and relatives who have lived there for decades) and SF is not where I want you to pin your protractor. Put it right in the middle of the Elmwood section of Oakland in the up and coming East Bay and then draw a 50 mile (or 25 mile, depending on how much time you have) radius around it. That is where I would head if I wanted an exciting, rain-free, interesting and even exotic at times, winter getaway. From Oakland, you are within biking, sailing, motoring, walking, boating distance of all the stellar things the lower end of Northern California has to offer. And, you will be able to afford the hotel because you will not be staying in downtown San Francisco. It is mostly first-time visitors and businessmen on expense accounts who stay there anyway. Because the area is so vast and packed with things to do and places to see, I am going to divide this into two posts. First will be where to stay and eat. In a future sequel, I will remind you of the hundreds of museums, parks, beaches, theaters, aquaria, forests, and special features that the entire Bay area is known for, as well as a few words on shopping. There is no better place to spend a week or a month, than this part of Northern California. You might not want to go home. First off. Where to stay. I would suggest Elmwood via an AirBnB. Another good option is a VRBO (vacation rental by owner). Check out these videos on my link, strung back to back — there are several, all about the area and worth watching. Elmwood is just off College and above Telegraph Avenues, the main arteries through the best part of Oakland, near Berkeley. The homes in Elmwood are straight out of Nancy Drew or Father Knows Best. They are roomy, well-to-do Craftsman-style homes from the pre-WWII era. In fact, I cannot think of a better neighborhood in all of California, and I have been everywhere in the state in the 20+ years I have lived and visited it. 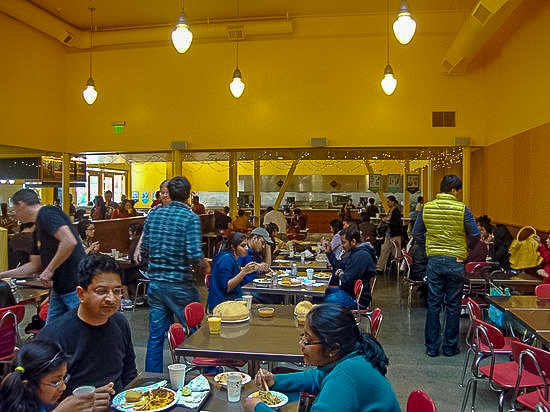 If you stay there, you will be in walking distance of shops, eateries, poetry readings, concerts and lectures and all the marvellous perks for visitors to the UC Berkeley campus. 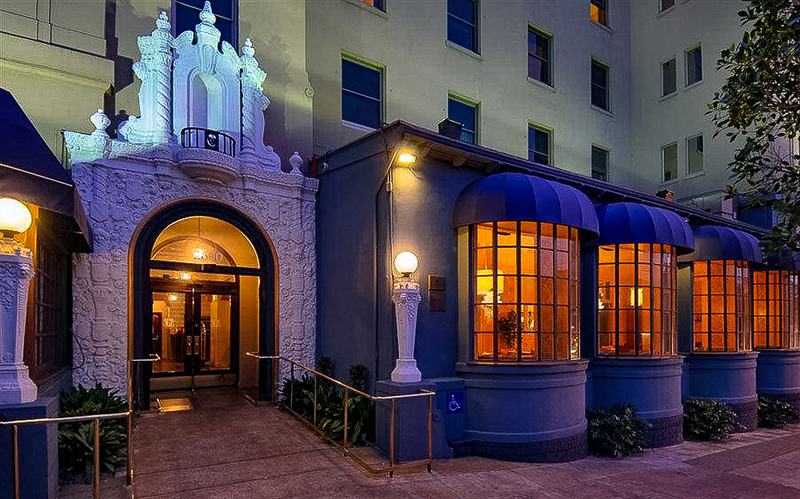 If you are feeling really flush, you can stay at the Claremont Hotel in Claremont, between the Berkeley campus and Elmwood. You will get the full European spa hotel experience, but you will pay for it. It is an old East Bay institution, now owned by the Fairmont Group and they are the crème de la crème as far as hoteliers go. My other two suggestions are my personal favorites. I have stayed at both hotels numerous times and would rave on about them if you and I had the time. The first is the Hotel Durant, as they style themselves, a ‘hip boutique hotel’. It is old, maintained beautifully, immaculate and has impeccable service. Its breakfast library room and restaurant are first class. And, you can walk to the campus and transportation from the Durant, effortlessly. Take a virtual tour and you will get a sense of these two luxury hotels. Oh, and the Durant is affordable and they always find a way to give you discounts. I always request room 535/37 on the 5th floor, adjacent to the elevator. It is cheaper and amazingly quiet despite its location. Love the Durant!! My last suggestion is the incredible, little known, beautiful, sprawling Woodfin now Hyatt House at the wharf in Emeryville. You can get a view of the Bay and San Francisco from some of the rooms on higher floors. The rooms and suites (with bedrooms separated from the sitting area and full kitchen) are beautiful and reasonable — geared toward the business community and people relocating. At the ground level, the Woodfin was planned to be in proximity to a sort of mini mall, old style with food, amenities and little shops. The food store delivers to the hotel. You can get pizza and Chinese takeout or sent to your room. You can walk around the edge of the water and absorb the marine atmosphere. And, best of all, they allow pets! We attended a wedding a few years ago in the area and brought both Psyche and Ollie with no problem. The Woodfin even put a mat and food and water in for Ollie. Can you imagine? All this in a beautiful place, with great parking (a big issue in the East Bay), at a rock bottom price. The Woodfin was sold to Hyatt and so I hope the new owners will keep all these wonderful features and pricing intact. Ssshhh. Keep this on the down low. I don’t want them to jack things up! OK, so now you have a jumping off place to stay. You want to get out and start seeing, doing, shopping and eating, right? Let me start with the restaurants and other eateries in the East Bay. You will be happy to hear that you are in the midst of what could modestly be called The gourmet ghetto of the Western United States. In every direction for miles and miles are incredible elegant inexpensive (as well as costly, if that is your thing) places to get every cuisine on earth. It would take a year of blog posts to cover San Francisco, Sausalito, Monterey, Carmel, San Jose, Walnut Grove, Montclair, Rockridge, Marin, Solano and greater Oakland/Berkeley itself just to give you ideas of where to go. And a lot of boutique shopping flanks these restaurants, conveniently. Instead, I will list my personal favorites, which are ethnic, clean (spotlessly so), serving delicious, homemade exquisite food at prices you can afford. They cover: Greek, Indian, Mexican, Israeli, Chinese, Italian, Cambodian and Ethiopian super stars. This is where the locals who know the food scene eat, so you can throw away Zagats and forget about Yelp. 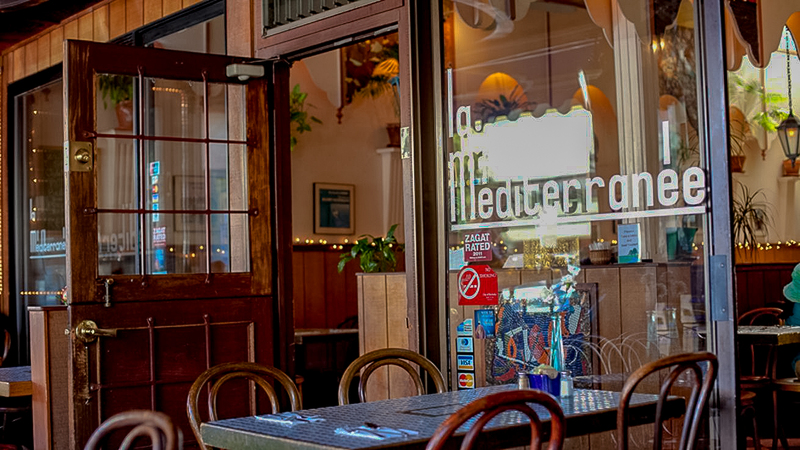 I will start with the most popular of them, La Méditerranée on College Avenue near the main hub of Ashby serving Greek/Middle Eastern food that is so delicious, you will want to order another meal or two to take home. You will definitely want to go back, but don’t give in to the temptation as you will need to visit the others before you go. I promise you, whatever Middle Eastern dish you have ever had, it is twice as good here. Trust me — in fact, I have eaten at every one of these places I am recommending at least half a dozen times. Being a college town, there are no end of Indian restaurants to try. 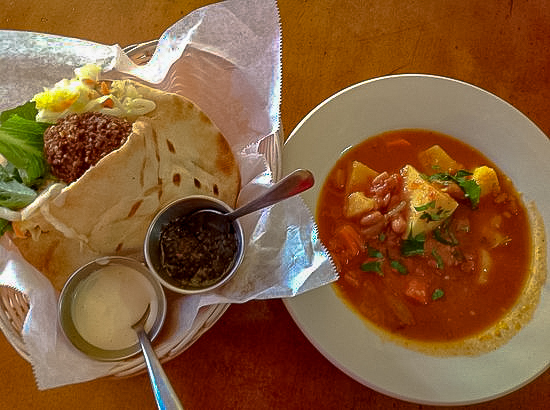 But, if you want the kind of food they eat in India, you have to try the hole in the wall, Vik’s on Fourth Street near the Berkeley campus. It is cafeteria style, no atmosphere (other than brains and politics at every table, if you can hear it amid the din), cheap and delicious, authentic, aromatic Indian food from every part of India. There is a grocery section so you can buy things to take home. Believe me, you will walk out of there with bags of food — so be prepared and bring your totes. Mexican restaurants are usually two to a block in California. 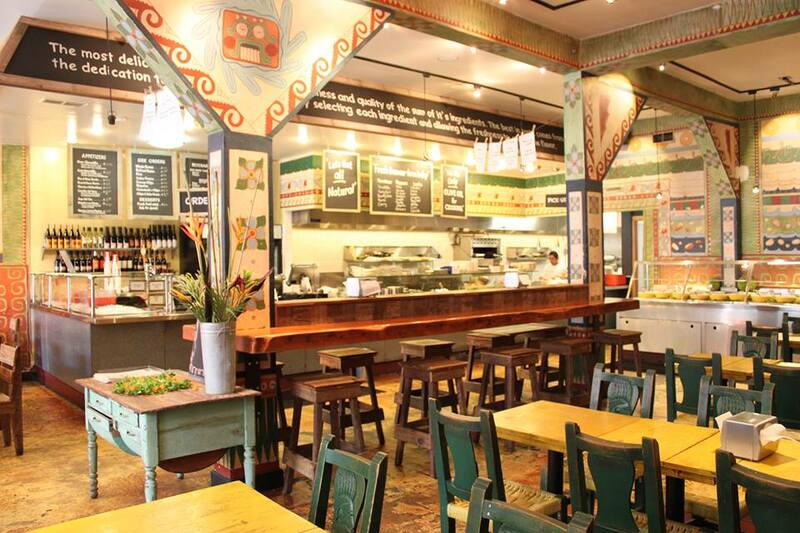 But Cancun on Shattuck — one of the main drags in Berkeley — is special. It is more a take out place than eat in, but you can do that too. Believe me, the cognoscenti in the area come here for authentic, inexpensive, perfectly cooked to order quality Mexican food, Cancun-style. The Saldanas are the family that own Cancun and a farm that supplies its organic, natural products. Farmers and cooks, isn’t that what we would dream of? Having the farmer feed us. Healthy food, expertly prepared as you watch, delicious and fresh. What more would you want? It’s as close as you will come to Mexico in Northern California, in my opinion. From farm to table, what more could you ask? Ordinarily, who would advise anyone to seek out Israeli food? After all, it is enough like — forgive me, all my Jewish friends — Middle Eastern food that you might think you could just eat at La Méditerranée and get the experience of the region you crave. Well, this is no ordinary town and Holy Land is no run of the mill restaurant. Don’t expect it to be particularly remarkable in appearance. It is clean and pleasant. But! The menu is the thing. If you have never had Israeli cous cous, this is the place to get your initiation. It is fragrant, fluffy, perfectly seasoned and divine. Try the latkes and the Israeli pickles and olives. They have shifted to include the non-Jewish foods of the region as well but you will be able to sample some of Israel’s best dishes, including hummus (pronounced hoo-muss by natives) and other kosher dishes including some that are vegan. Most of us have had Chinese food from humdrum restaurants all our lives. If you live in NY or SF or Chicago or LA, you have likely had some unusual and very good Chinese meals. 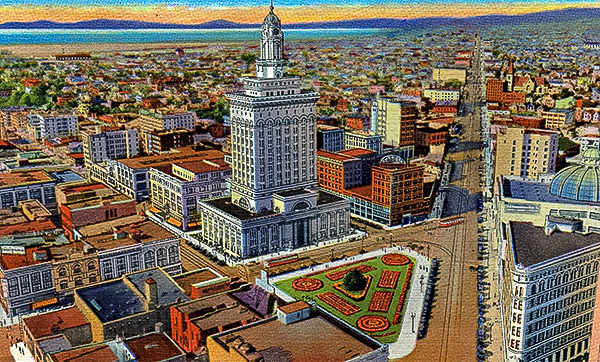 But, Oakland has, in my experience, one of the very best. Shen Hua, is a beautifully simple, classic Northern Chinese noodle house, upscale and not inexpensive, but worth every penny. 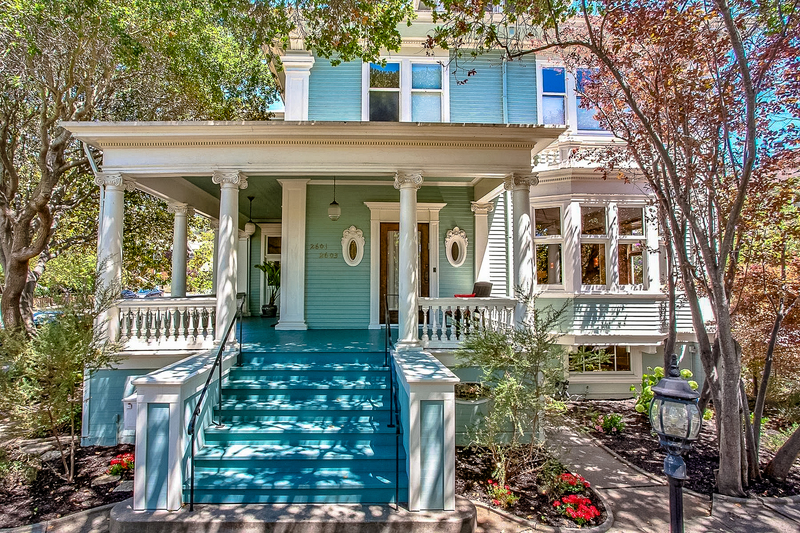 Conveniently located right on College Avenue in Elmwood, it will be steps from your AirBnB. You will want to take home the leftovers, believe me. 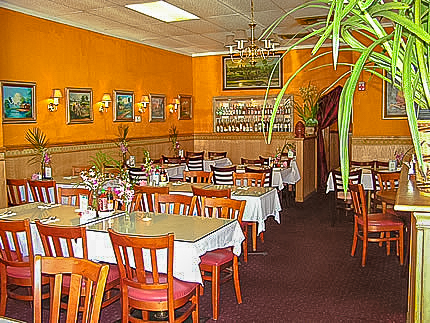 There are rarely Chinese restaurants that could be termed elegant in every respect. This is one! 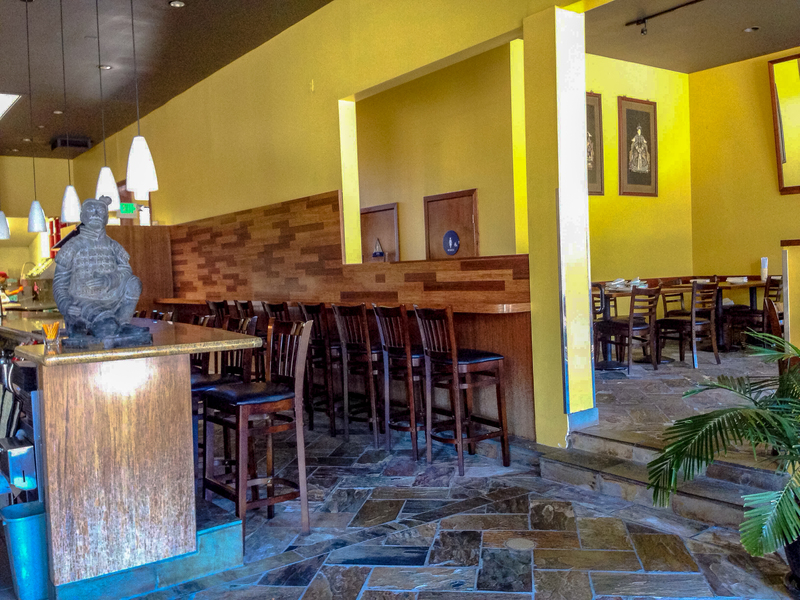 While you are in an Asian food mood, you simply have to try the homey but sophisticated Cambodian menu at Battambang on Broadway in downtown Oakland. It is similar to Thai food but a bit more complex, heartier and with banana leaves. Think Siam-meets-Puerto Rico 😀 Delicious, whether you are a carnivore or a vegan as I am — a really unusual menu in a family-run establishment that prepares each dish fresh when you order and serves it in a warm and friendly manner. There are literally hundreds of Italian restaurants throughout the Bay area so you might wonder why I picked just one. Because, while you can get pasta almost anywhere, great pizza is more elusive. 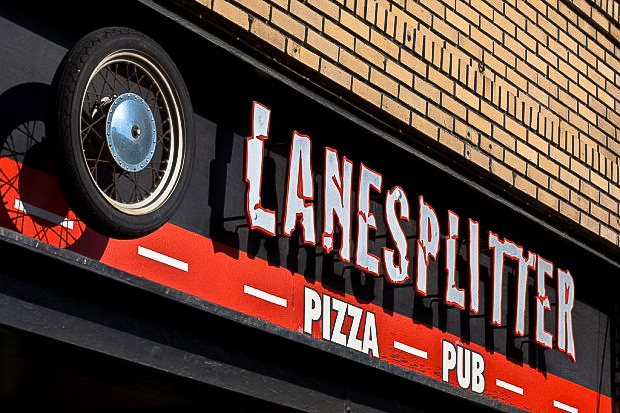 One place that never fails to serve and also deliver, is Lane Splitters, by far the best pizza in the greater Oakland vicinity. The ambience is pure urban hipster black, white and gray. They serve fabulous, handmade pizzas and a variety of other things including lasagna and calzones. Eat there or order for local delivery. If you are a lover of the exotic, and complex flavors outside the pedestrian, you probably crave Ethiopian food the way I do. The East Bay is loaded with Ethiopian restaurants, but if you want to know where Ethiopians themselves eat, it is hands down, Addis on Telegraph. 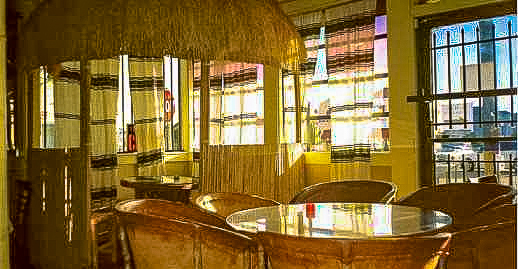 The atmosphere is basic but it is clean, friendly, and bright, and most importantly, the food is out of this world. If you have never had Ethiopian or Eritrean food before, Addis is the place to start. I just wish we had one in Valencia, anywhere near as fine as Addis. There are just a few more things I want to recommend here in Part I. First, you simply must take a trip to Mill Valley and stay at the Mountain Home at the top of Mt. Tamalpais. If you can’t manage a stay, then at least have breakfast and watch the sun rise, or have a drink there at the end of the day. Romantic, with breathtaking views, you dine or sip overlooking the entire Bay area. Mt. Tam is exquisite and well worth the trip. Nearby are vistas that you can’t find anywhere else in the San Francisco basin. Finally, you cannot leave Oakland without visiting Berkeley Bowl. There is no way to describe this indoor fruit and vegetable bazaar. You simply have to go. It is the largest and most bountiful food store I have ever seen anywhere. Its proximity to the fruit basket of the world means items so unique and so varied, that you will be tempted to buy them just for their beauty and singularity. No matter where you land in Northern California, a trip to Berkeley Bowl is a must. 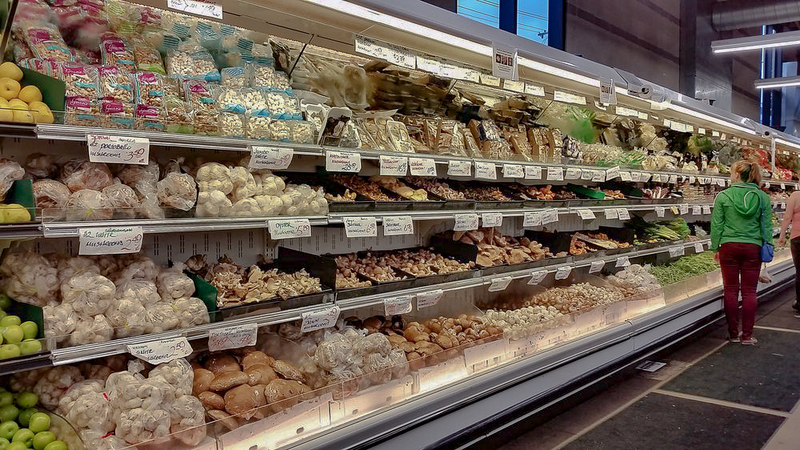 It is 40,000 square feet of gourmet heaven at farmers market prices. Think of a Home Depot for chefs’ quality fresh foods. Cheeses, condiments, olives, fish, breads, pastries fruits, vegetables, coffees, the list goes on and on. So popular in its 40 year history, that they opened a second one. Go to the original on Shattuck and prepare to be astonished. By the way, go early, be nimble (parking is difficult) and arrive hungry. Bring bags, you will want everything you see, trust me. While you are at it, if you are anywhere near the Berkeley campus, hit the Gourmet Ghetto area and make sure you visit Andronicos, the Rolls Royce of “supermarkets”, since 1929. One thing I love there are the full line of European D’Arbo syrups that can be used to flavor everything from ice creams to cakes to carbonated drinks, ala Alice’s Restaurant nearby. I ordered a case of them and especially like the Elderberry syrup. When you add carbonated water to it, it tastes like champagne! More on Alice’s coming up in Part II. Just arrived back from Nice….freezing! I am so hungry now, Beth! Your descriptions are to die for. You are so kind, Anne-Marie. Being a vegetarian/vegan and loving ethnic food, I have had to be very diligent about finding great meals. Also, I like to keep my weight in check, so I have to make every single bite count — no empty calories for me! If I can motivate people to eat at even one of these places, I will be thrilled. They are all so good. Luckily, since I travel less these days, they are still around. Pingback: Vibrant moon | Chris Breebaart Photography / What's (in) the picture? All I can say is – YUM! And these places are in my neck of the woods! wonderful “reference” you’ve provided. As always , many thanks. Oh, thank you Bob. Exactly, the airport. I am going to be talking about that in Part II, who would go to SFO if you can fly into Oakland instead. Like flying into Newark instead of JFK, the latter to be avoided like the plague, LOL. I must not have had time to comment or my “post comment” was pushed as I left the library. . . I meant to say something here! Beth, I liked the fact you showed houses which reflect the Midwest flavor~ (the pretty robin’s egg blue is so sweet!) I also liked the places you suggested to eat, quite an international variety which I am used to Spanish, Mexican, Greek and we used to have Ethiopian food here in our town. I liked that you persuaded me not to do much staying in the San Francisco area, although I still must see the curving and steep hill that was featured in the Steve McQueen “Bullitt,” film! 🙂 I sure did have a crush on him, Robert Redford, Paul Newman and Al Pacino, too. 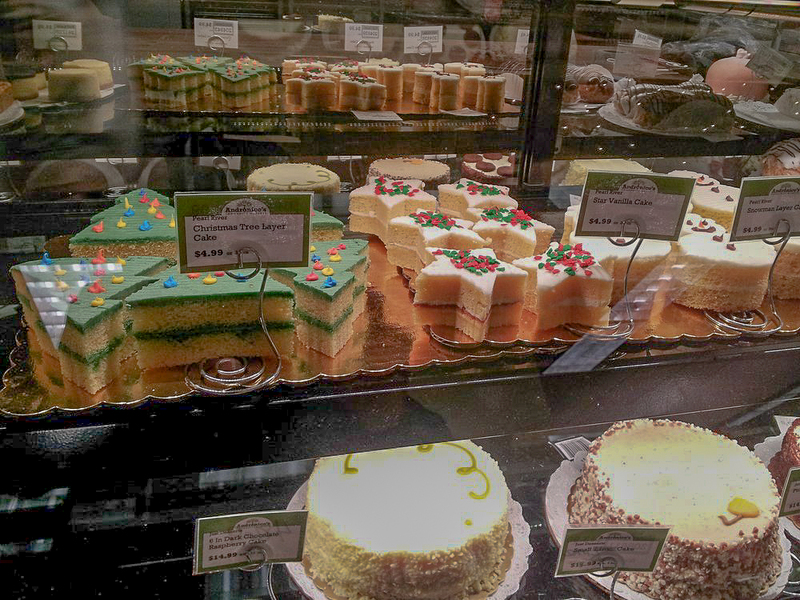 I love fresh market places, so the Berkely Bowl would be on my “must see” list, too. I was happy you mentioned Geoffrey and glad you may be trying a veggie fruit blended yogurt soon! I will go visit another post or two, my friend! I really appreciate your photos, immensely. And especially the way you crop some of them, like the first few for instance. I spent some time in Oakland back in…well…the day. I found it very nice, and so much less unpretentious than SF. I like “cool” but there may be such a thing as too cool. Love the Craftsman homes. You’ve brought everything to life here, almost makes me want to visit!!! Well, BF, I think it has improved a great deal since that time, its former heyday. Mostly because the entire Bay area has exploded in popularity. 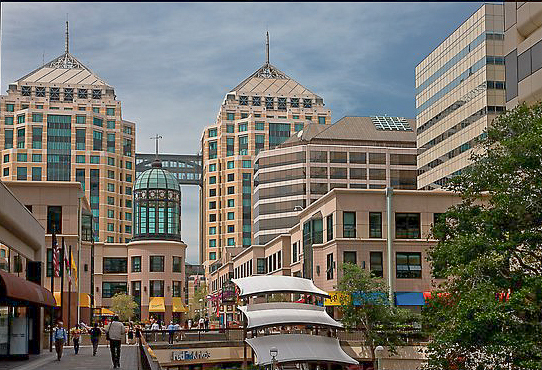 I truly love Oakland, and if we could ever leave SoCal, that would be my ultimate destination, hands down. Hope you get here some time. You won’t be disappointed (based on what I know of you from your blog, the pictures and places on which also thrill me). Well, in my mind, I think I’ll always be a California kind of guy. I’m pretty sure, though, it would be further south. I like WARM! But…anything is possible.! You’re from San Diego? I would imagine that is the ideal SoCal climate. Actually, Ventura County reminds me of San Diego, especially the weather. In the 70s and 80s most of the time. But hey, if you can live in La Jolla, who would go anywhere else, right? I’m not really FROM SD, I lived there for 10 years…physically. All my life spiritually! I don’t really like living in big cities, but if you have to, SD seems like one of the better ones. I wonder if Shamu is still alive? But yeah…La Jolla–the dream!! Or Hawaii. Well, yah, I guess I can imagine what you think! I never went there once! It’s like a zoo…with water. I’m not a zoo fan. And I do like the area of Ventura. I knew a guy who lived in Oxnard. BF, zoos and circuses and animal shows and racing — I am against all of them. My parents took me to a circus when I was only 4 years old and my mother was horrified to see me crying — I somehow knew even then! I have written scathing letters to the CEO of Sea World and gotten responses from them showing how defensive and under attack they feel, but with no intention of rectifying it. Most people treat animals like things instead of beings. Sickens me. Yup you and I like very similar things, I think — albeit you are more adventurous and brave. I would travel all the time if I could and the more exotic, the less touristy the better. I hate tourism. But I am stuck in S. Cal. and so am glad I found Berkeley-south, LOL! Sorry I missed this post until today. Simply a wonderful post covering many areas around San Francisco. 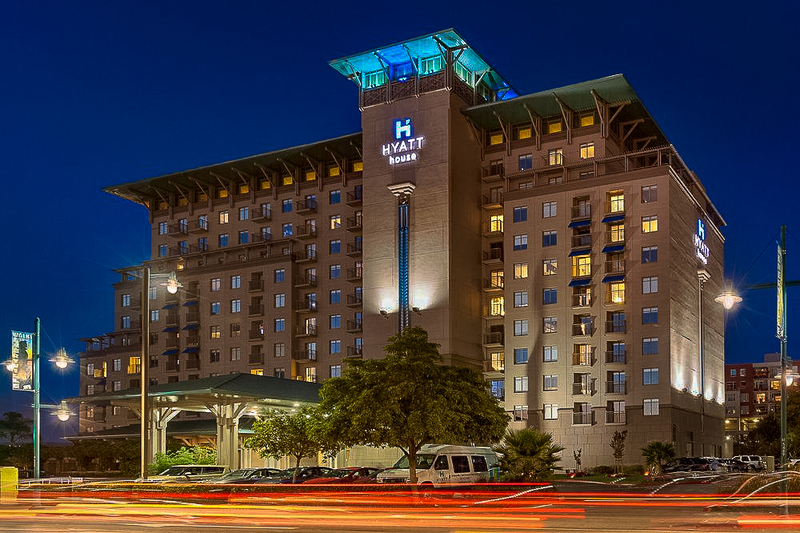 Your choices of lodging and restaurants are great. Having been born and raised in SF I can attest to your selections as being five stars. Nice work and thanks for sharing. Rebecca, you are a doll! I am so glad you approve this post (and the follow-up on where to go, I hope). If I could live anywhere, there are two places I yearn for: Rochester, NY (sometime I will explain this one!) and Oakland. Sigh! The closest we come down here is Ventura. My head is spinning – what a wealth of information, and mouth-watering pics. I love your travelogues. I’m with you on a love for winter (and winter clothes! ), but I’m puzzled by Rochester as one of two places that make your heart sing. I’ve never spent time in R., but I’ve hear that the weather is beastly in the winter. I look forward to what you have to say about it (although I think you could make the North Pole sound enchanting). The place is inexpensive to live. First of all, the city is gentrifying and updating, becoming a major urban hub as it has been recovering from earlier economic downturns. So there are many cool places to live, eat, recreate, etc. Secondly, the surrounding rural area is one of the most affordable secrets in the country. You can still get a 19th century farm, with a Victorian house on it, for less than $200K. I lived through those beastly winters and they are fine for me. I actually like them. I spent a great deal of time in Upstate NY over my lifetime and I went to school in that approximate area for four years. It is snowy, but there are four seasons and all that moisture makes the countryside gorgeous in the spring, summer and autumn. In California, just about any place, $200K gets you a rundown condo with 800 sq feet if you are lucky. So what was the “offer” from Oakland to use this as their “Official” welcome guide ? OK…so Oakland is on the map for future visits if in the US! I have good memories of Oakland. When places get better, everything’s better! Here, in Abu Dhabi today, the fog is so thick you can’t see ten feet ahead!! Funny, I would never picture fog in Abu Dhabi!! Obviously I have some learnin’ to do on it. Must be fascinating. I know…fog? And bad fog. I’m wondering if it isn’t because of all the concrete and metal structures here now. I didn’t actually think of all the water…as we are on the water, but could be the issue. I thought it was because all the new stuff held in the heat, then got cold, then started to warm up, then created fog. But I really don’t know what causes it, and all that extra water just might be the issue!! Now I’m going to have to google it, and I’ve got other things I need to do. Your travelogues are always so descriptive and colourful. I wish you and your family a very happy, healthy 2017, filled with joy and more adventures. Thank you for letting us view your beautiful home town and the places that you visit. Beth! Long since I have not received any notification of your blog posts. Have you posted any recently. Is everything OK with You. It is so good of you to think of me. I am well and hope you are too. My new posts are on the right hand column, here, at the top, under “Recent Posts”. The latest one is “Hot Saws”. You might enjoy the vivid colours of the photos I posted there. All my warmest regards to you. Its so nice to get news from you. I shall check and read your recent posts. I always enjoy your posts, the vivid colourful photos etc. My Warmest regards to you too. Check my posts which you have not read, when you find time. I am always eager to get comments from You. Amazing post and a feast after my long absence. Now I want to go to Oakland and just eat my way through! I see why my Mom and friend had a blast!! Can’t wait to read you next post(s) to catch up. Hi! I am so happy to hear from you. Glad you are back and that you liked this post. I will have to hurry over to you and see what’s happening. I have been really busy this year and I am afraid my blog is suffering a bit, but a new post completing my trip back East is imminent. Hugs! Hi back! No worries, I find that time is minimal and have been learning to carve what little bits I have out for stuff. So now on to trying to see if I completed my last Challenge! !